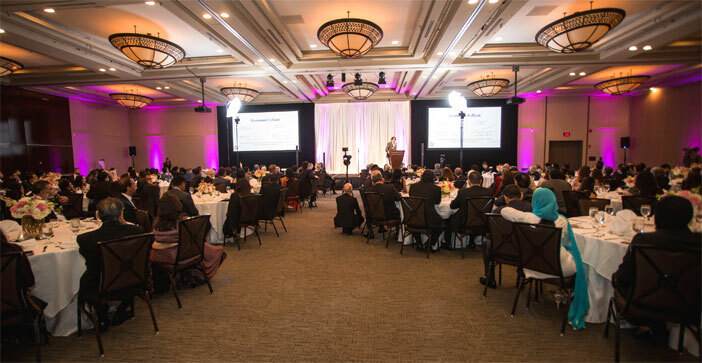 For the first time, Habib University Foundation US has made solid steps to connect on a larger scale with the Pakistani diaspora in the USA. 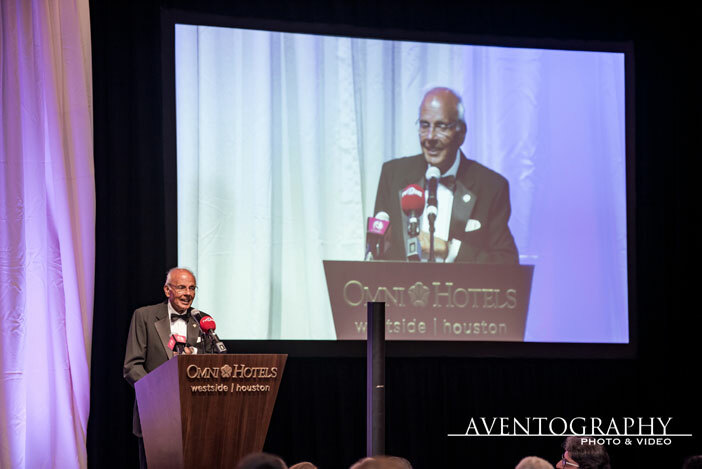 Graciously hosted by Shoukat Dhanani, Chairman of the Habib University Foundation US (HUFUS), and his family, a gala dinner with 250 guests was hosted in Houston, Texas, on the 8th of September 2018. Joined by three members of Habib University’s Board of Governors, the Directors of HUFUS used this opportunity to share the message of supporting higher education in Pakistan with the guests, to build on the knowledge of philanthropy in US private higher education institutions. Amongst the esteemed guests, the Consul General of Pakistan in Houston, Ayesha Farooqi, and the Mayor of Sugarland, Joe Zimmerman, were also present to enjoy an evening of education and networking. 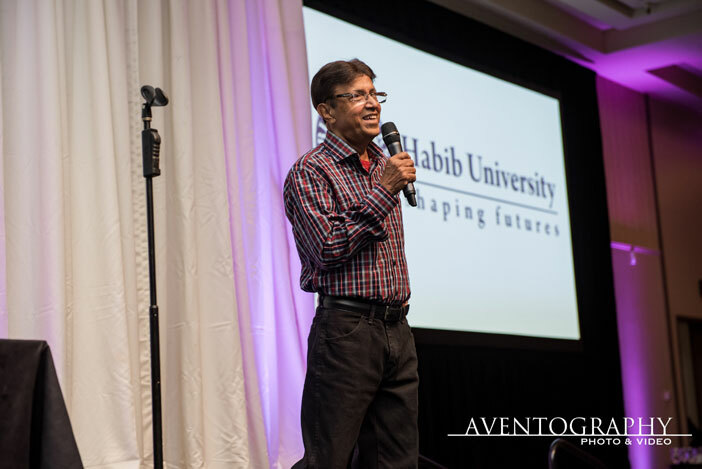 Mr. Dhanani opened the gala to share his story of connecting with Habib University. He said he was “positively shocked to see an institution of American planning and quality standards in Pakistan”, which convinced him to support this needed project in every way possible. 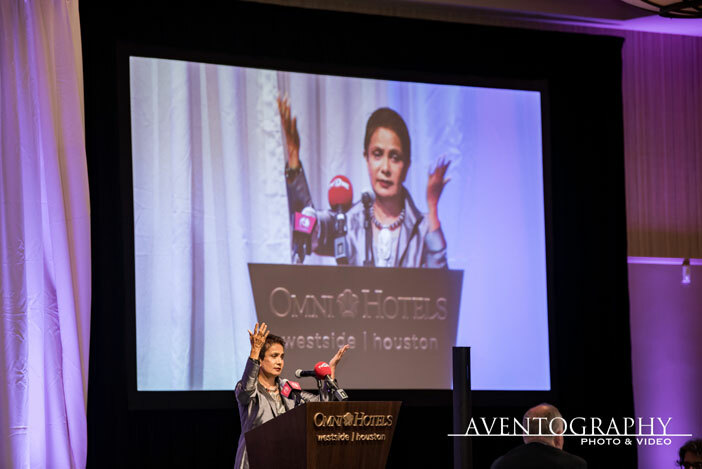 The keynote speaker was the captivating Dr. Azra Raza, Chan Soon-Shiong Professor of Medicine and Director of Myelodysplastic Syndrome (MDS) Center at Columbia University. She started by building on a verse of Iqbal to recognize that, in her words, “real experience only comes when your heart is in the process”. Thus, this was going to be an evening of profound connections and celebration of generosity that has built a world-class university in the face of challenges. “Here I am, because of a heartfelt connection”, since true leadership mesmerizes, inspires vision and brings out the best in humanity. And it is such leadership that Habib University has brought together and instills in its students to positively contribute to Pakistani society- “We are here today as part of history being made; to witness, celebrate, and cheer the Dhananis who have joined the House of Habib taking forward this wonderful cause.” Dr. Raza concluded that Habib University is becoming a shared cause for communities around the world, given that “Liberal Arts and Sciences education gives more than skills but the power to dig deeper into our own souls to know how we can contribute to the world”. Inspired to know more about this transformative institution, a short video on Habib University, it’s students, and community was shown. President of Habib University, Wasif A. Rizvi, further explored the background and need for such an innovative institution in the context of Pakistan’s education landscape and potential for impact. Learning from the US model of private higher educations, and recognizing that it is philanthropy that has made these institutions, he made the argument that “although Pakistani diaspora in the US is extremely generous, they treat causes in Pakistan and the US very differently, the former mainly targeting primary education and health, whereas in the US many have built co-legacies in recognized universities”. It is thus that Habib University presents an opportunity to see Pakistan in a new way and to be part of a community that enables positive change for generations to come. 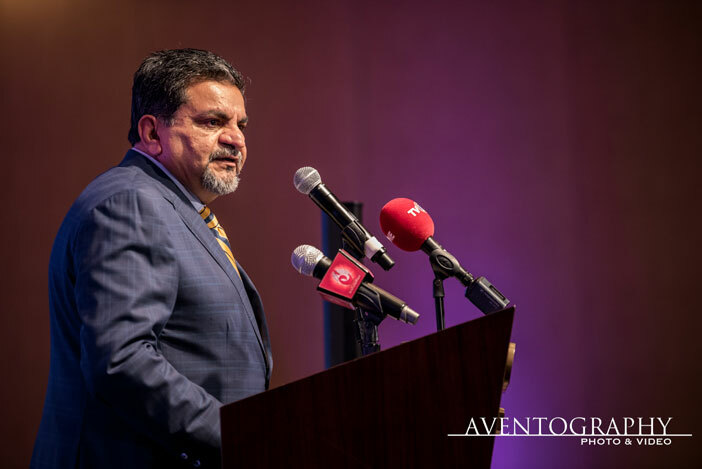 Chancellor Rafiq M. Habib thanked the Dhanani family for hosting this extraordinary gala: “I have seen many people succeed in business. Few, like the Dhananis, are giving back to create permanent legacies in the name of their families. It is generosity like this that takes you from being successful to being significant” as legacies at universities transcend those of businesses by shaping the coming generations. Over dinner and musical entertainment by famous singer Alamgir, all guests enjoyed an engaging evening in discussion about Pakistan, its future, and in particular its committed population and community that spans the globe.